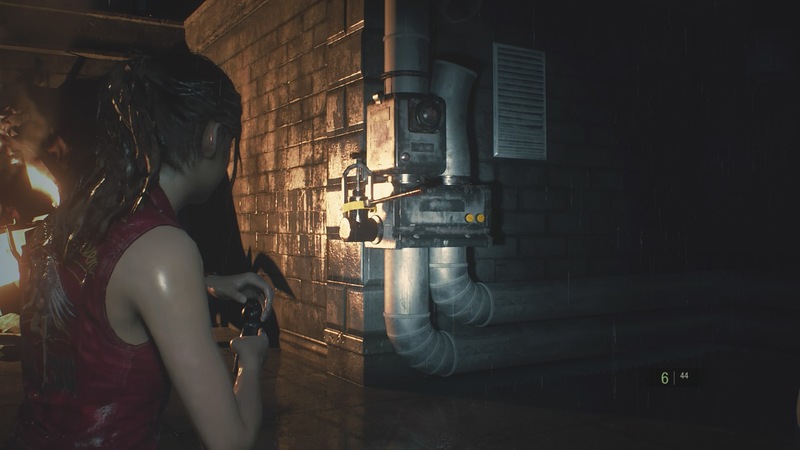 After fighting through the Underground Facility and Kennels, Claire now has to track back through the RCPD Station in search of a keycard to open the parking garage. 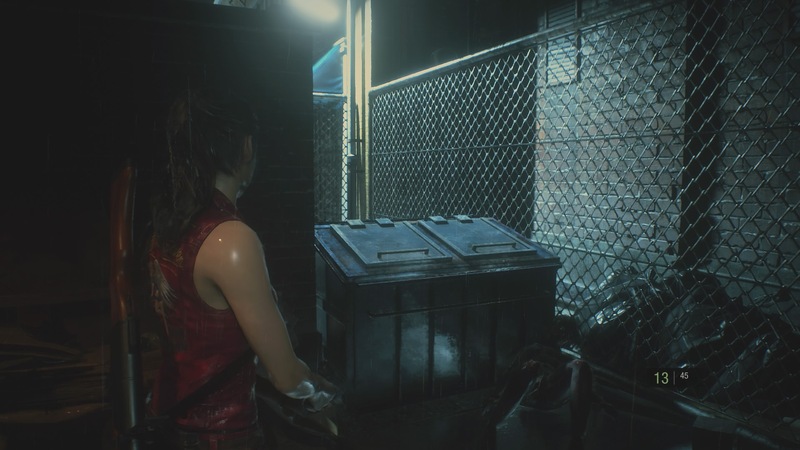 With the item she needs locked behind an electronically sealed gate, she must first hunt down the parts to open the door. 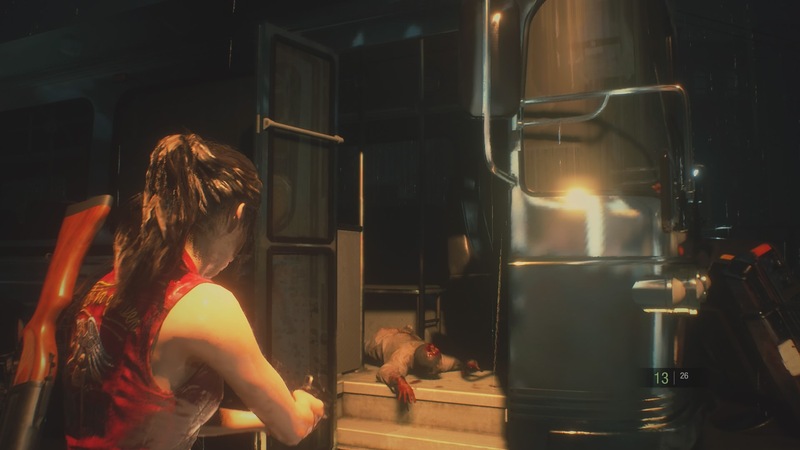 This part of the game takes you through a new area of the RCPD Station and, at its conclusion, ends with Claire’s equivalent of the Ada Wong section in Leon’s playthrough. 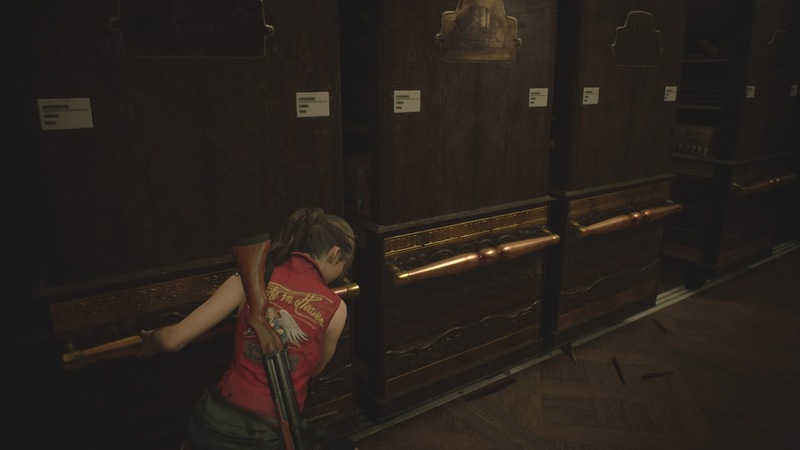 We last left Claire in the Private Collection Room next to the Chief’s Office. Once you’ve interacted with the door panel, turn around and follow the shelves past the stuffed Dodo. Pick up the note to the right of the Dodo and your primary objective will change. 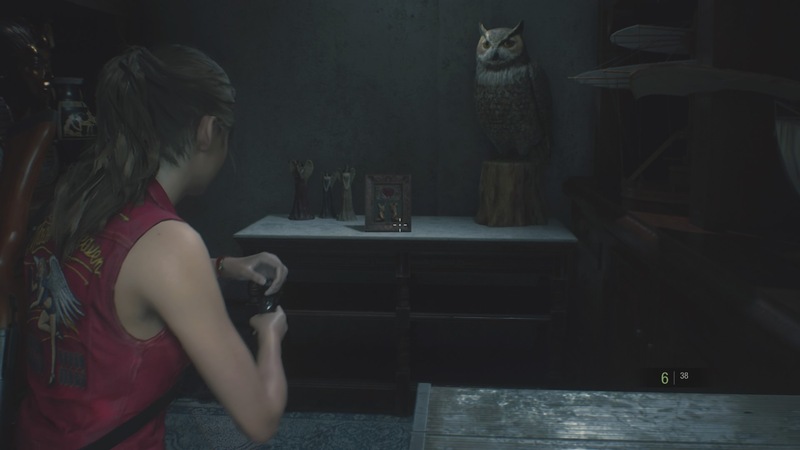 Next, look further to your right and pick up the picture frame that’s next to the stuffed owl on the cabinet. 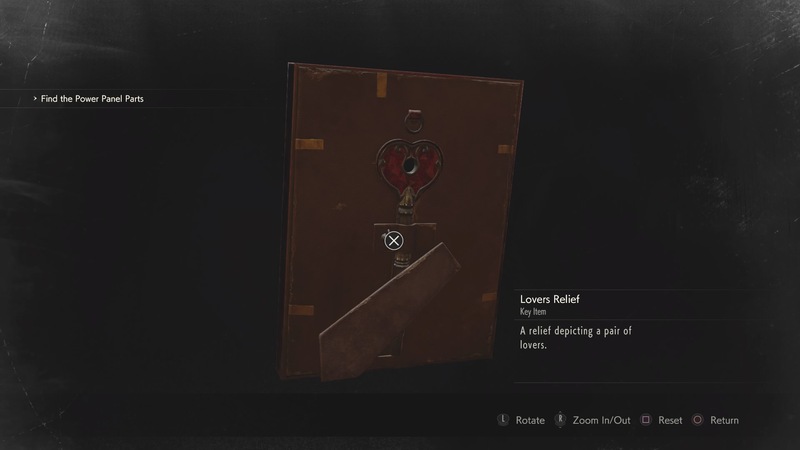 Examine the frame in your inventory, turn it around and interact with it to get yourself the Heart Key. Now return to the Chief’s Office and open up the Heart Door there. Open the door, then go down the stairs in front of you. At the bottom, turn right and beware of the zombie trying to crash in through the window. Turn left at this window, follow the corridor down and open the Heart Door at the end. You’re now in the Interrogation Room. Go over to the far side and take the Portable Safe off the shelves. Once you do, a Licker will crash through the one-way glass as you try to leave the room, so have your grenade launcher out ready. When it’s down, hop through the broken window. Inside this room you’ll find some gunpowder and the combination for the Waiting Room Safe. 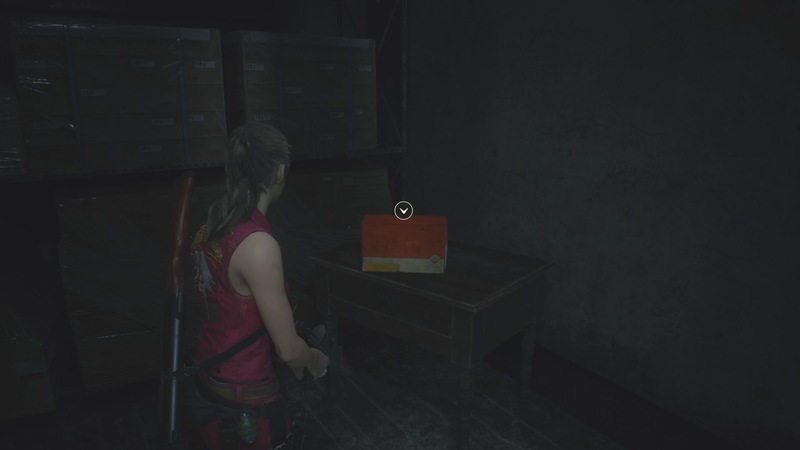 Now examine the Portable Safe in your inventory and solve it – referring to our guide if you’re stuck. This gives you a spare key for the keypad in the Safety Deposit Room. Next head back to the Chief’s Office and make some room in your inventory. You’ll need the diamond and heart keys, but not that spare key for now. Make sure you have at least three spare slots for items. I’d recommend taking your silenced SMG with you, since there are zombies that need killing and you don’t really want to attract Mr X up here. Now return to the stairs next to the Chief’s Office and go up one floor. Walk across the landing and enter the East Storage Room. As you enter the room, walk forward. You’ll see a Blue Herb down to your left. Turn left just after the herb and take the Large Gear from the top of the boxes in front of you. Now retrace your steps back towards the door, but turn right when you get there. 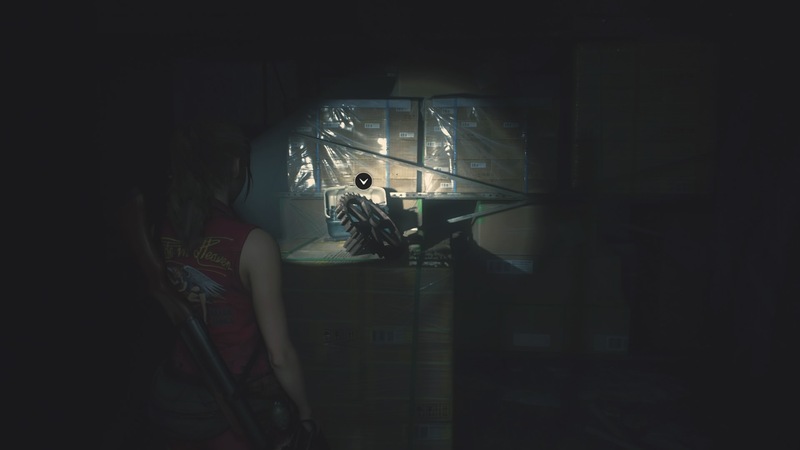 In front of you, on the back wall of the storage room, is a Heart Door. A zombie will try and jump scare you as you walk towards it, but take it out with a burst from your SMG. Go through the Heart Door and take the orange box from the side table. Examine the box and interact with one of the side tabs to open it. Inside is your first power panel part! Now, go back downstairs to the Chief’s Office and bank the power panel part in the item box. Keep hold of the Large Gear though. Next go back up the stairs, but this time, go through to the balcony. When you’re outside, go down the ladder to your left. This leads to the Roof, where the blazing helicopter still blocks your path to the rest of the Station. From the ladder, walk forward a little and turn left, then go down the metal staircase in front of you. 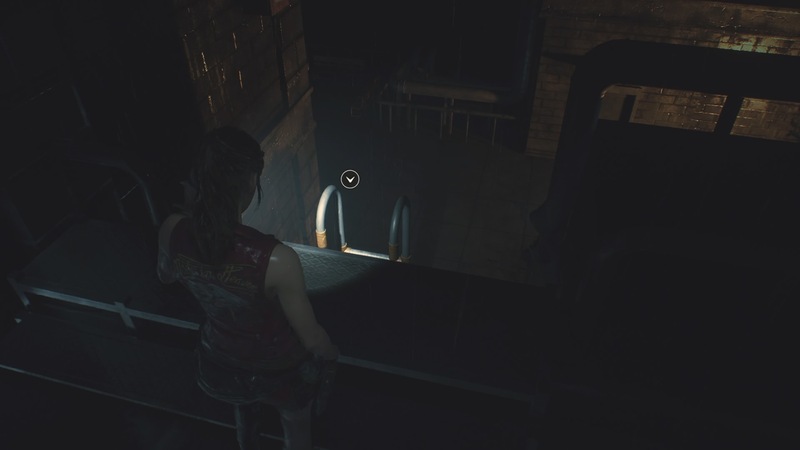 Deal with the zombies at the bottom, then keep walking forward towards the Boiler Room. To the left of the Boiler Room though, you’ll see a water control panel. Interact with the panel to turn it to the left. Now return to the roof and pull the lever to the right of the helicopter – this douses the flames. Then go through the door to the left of the helicopter and follow the hallway around. Our old friend Mr X is there to greet you, so immediately turn around and head back out onto the Roof. There are two ways to try and get around him back into the station. Either high-tail it back up the roof ladder, then down the stairs to hide in the Chief’s Office until you’ve got a clear run to sprint all the way past him through the newly unblocked hallway. The other way is to try and kite him on the Roof. To do this, run back onto the roof and stand roughly in the northwest corner. 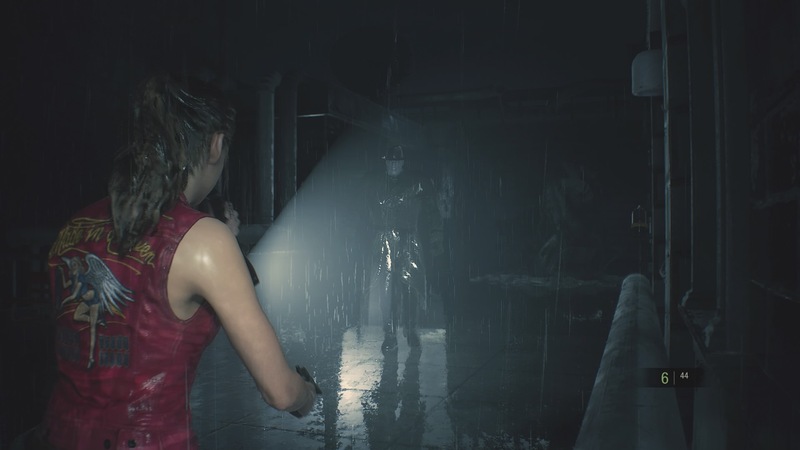 Let Mr X walk some way towards you so he’s out of the way of the door, then sprint around him in an arc to avoid his reach. Once you’re around him, go back through the helicopter hallway and you’ll be next to the Waiting Room. Run through here into the Main Hall, then head over to the other side to the Library. Now run through the Library to the Lounge, then go through the door on the other side of the Lounge so you’re in the STARTS Office corridor. You should now be next to the Linen Room. Open it with your Diamond Key, then grab the Portable Safe on top of the washing machines. You can now discard the Diamond Key. Open the Safe and you’ll get the second spare key for the Safety Deposit Room keypad. Now go back out into the STARS hallway and follow it around back to the shower room at the end. Go through the showers, turn left and go down the stairs to the Dark Room. 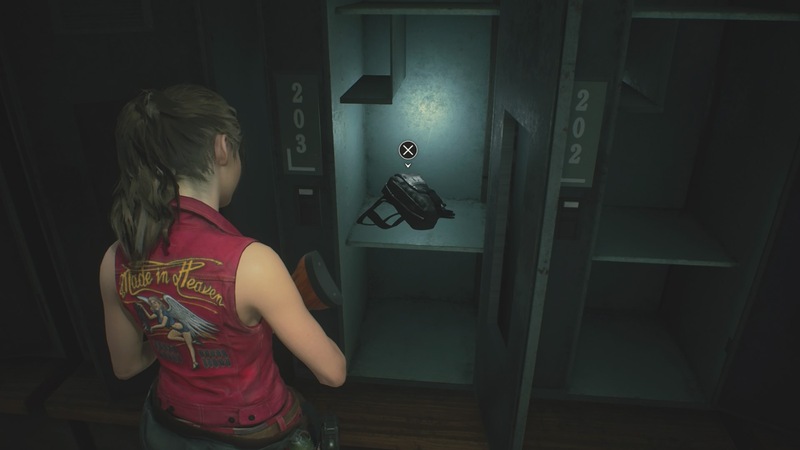 Pick up your other spare key from the Dark Room item box, then go around the corner towards the Safety Deposit Room. Be careful though, there’s now a Licker next to the West Office, so try and take it by surprise and shoot it to hell. Once it’s dealt with, go into the Deposit Room and use your two spare keys on the pad. Now you’ll be able to open lockers 102, 103, 203, and 208. 203 is the main one you want, since it has another Hip Pouch inside. Leave the Safety Deposit Room, turn right, and go into the door in front of you. Then use your Heart Key to open the door on your left – this is the Records Room. 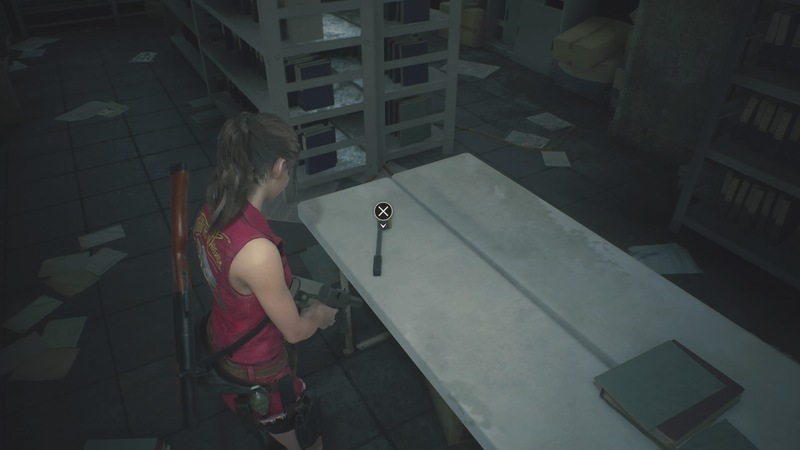 Grab the Jack Tool off of the table next to you, then discard the Heart Key from your inventory. 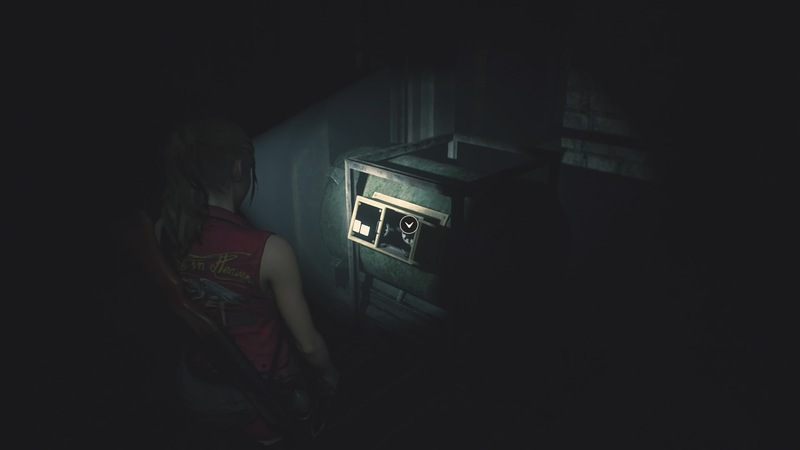 Your encounter with the Licker might have attracted the unwanted attention of Mr X, so if you hear his footsteps, stay in the Records Room until he bursts in then use the shelves to block and run around him. Your next destination is the Library. So go back out into the hallway and through the West Office to the Main Hall. Then go up the Main Hall stairs and into the Library on the west side. There are a lot of active zombies in the Library, so have your SMG ready. Once you’ve got some breathing room, use the Jack Handle on the red and yellow jack on the north side of the Library near the bookshelves. Then you need interact with all of the bookshelves in this row and push them as far as you can to the right. This creates a bridge for you to get over the broken balcony. Run across and go through the door on the other side. 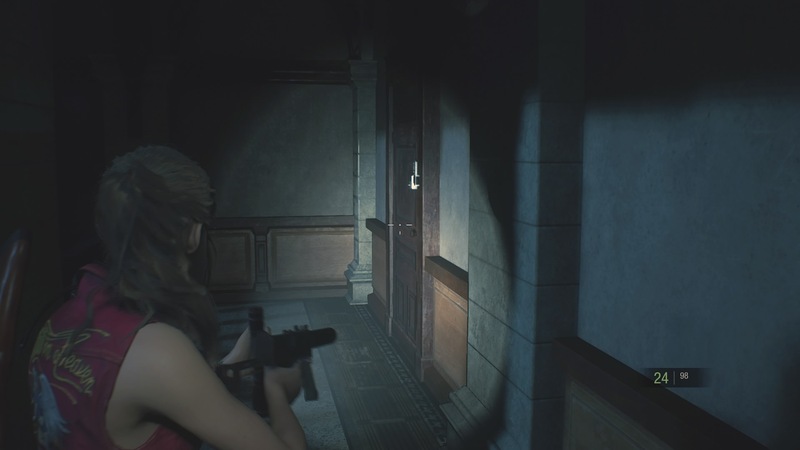 Turn right and follow the balcony, shoot the two zombies at the end, then go into the door on your right. This is the Clock Tower. 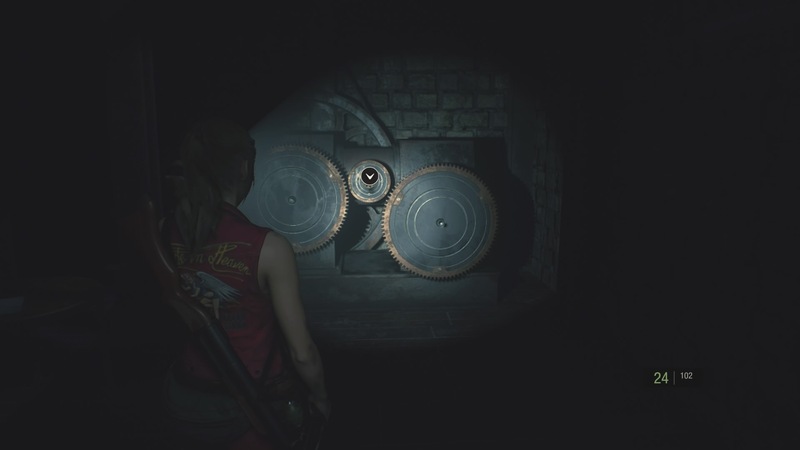 As you come into the Clock Tower, you’ll see a big machine on your right, use your Large Gear on this machine. This opens a staircase on the other side of the room. Go up the stairs, and then all the way around to the back of this floor. 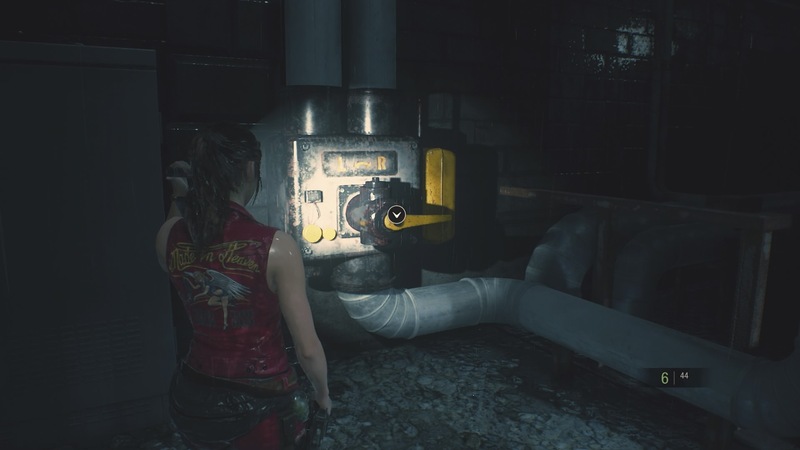 There’s another machine here; interact with it to get the Small Gear. Now go back down the stairs and use the Small Gear on a third machine that you passed near the foot of the stairs. Go back to the first machine and take back your Large Gear, then head upstairs and use it on the machine you took the Small Gear from. This rings the bell and makes the final part you need drop down. 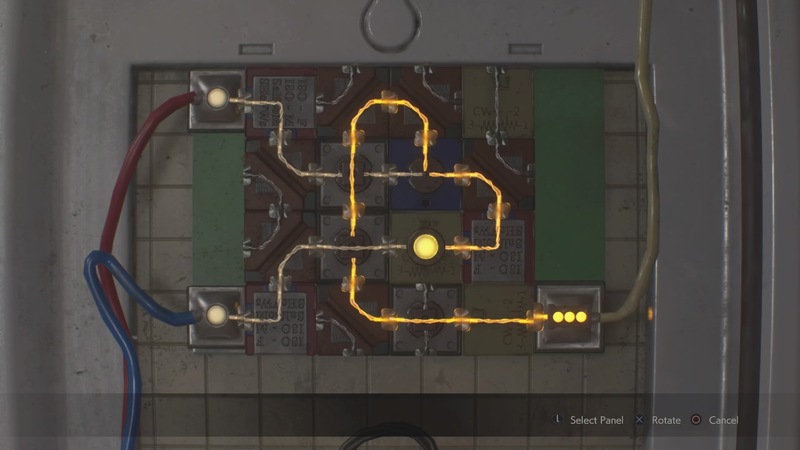 Go and pick up the orange box, then examine it to get the second electronic part. Now go back out onto the 3F balcony of the Main Hall, but instead of turning left to go back to the Library, run forward to the other side and turn left. 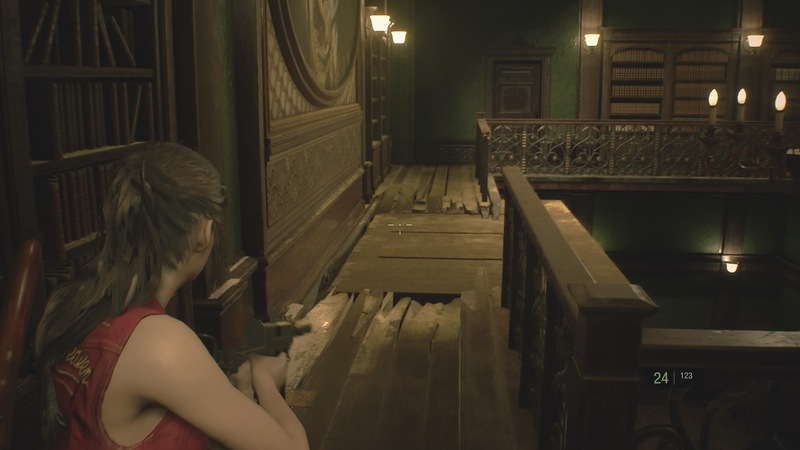 At the end of the balcony there’s a locked door on your right that you can now access. This leads to the East Storage Room, which you can run straight through to get back to the stairs next to the Chief’s Office. 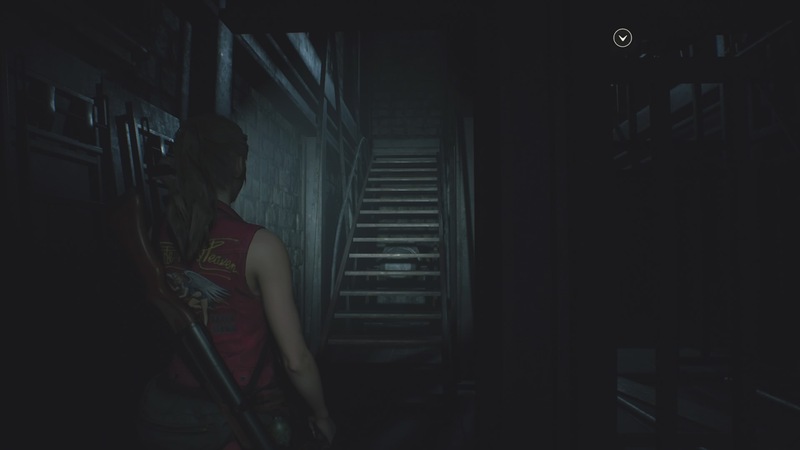 Go down these stairs and into the Chief’s Office. 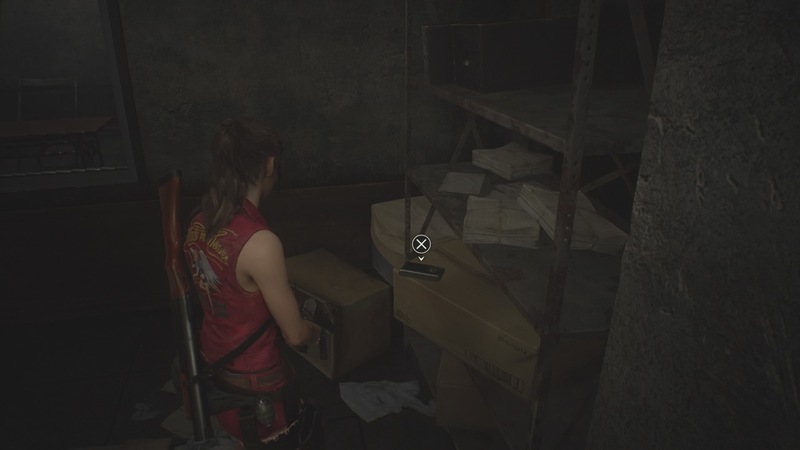 Collect your second part from the item box, then head to the Private Collection Room. 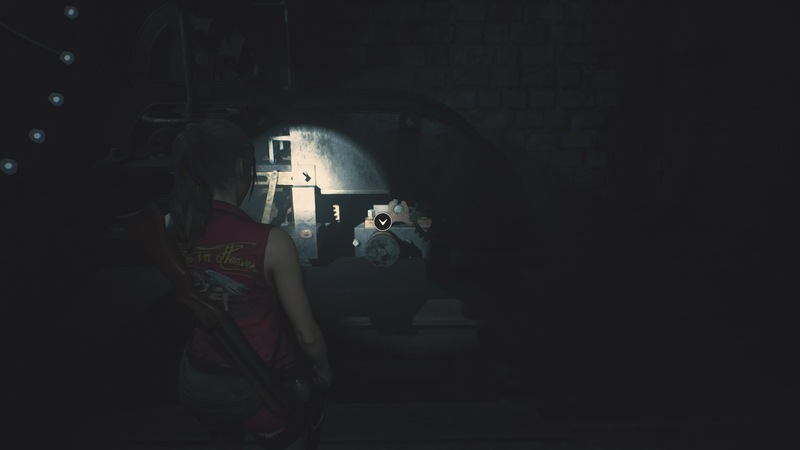 Use the parts on the panel and it’ll trigger a little puzzle. Your goal here is to flip all of the parts so every light is lit up. Once that’s done, open the gate and take the parking garage key. After the cutscene, you’ll be in a new gameplay section. 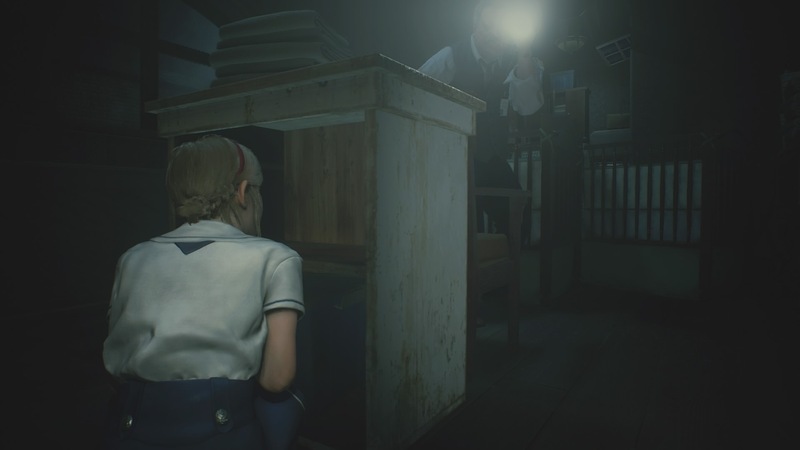 As Sherry, pick up the world’s creepiest stuffed doll on your right. Examine the Doll, and take the block out of it’s back. Then walk over to the blocks in the corner of the room and use the extra block on it. Now you have to line up both the top and bottom shapes across the toy. First focus on matching the shapes that are carved into the wood at the side, since they can’t change, then match the middle shapes. The blocks can fit in multiple locations, so if you just can’t seem to make it fit check other blocks to see if they match the sides of the toy too. 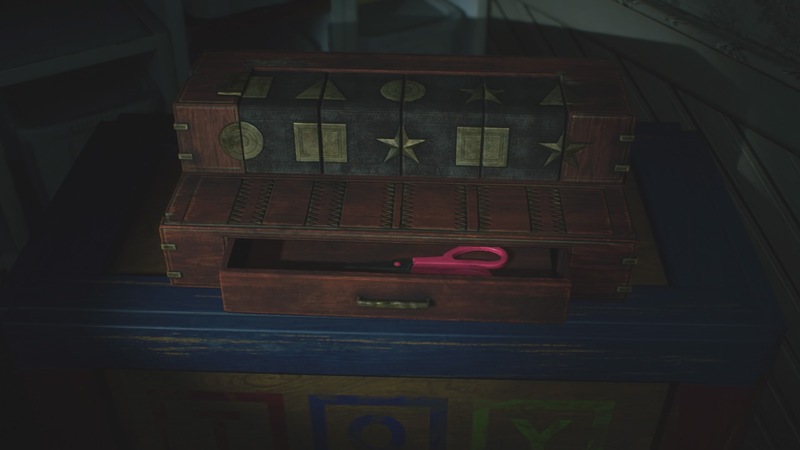 Solving this gets you the scissors, which you can then use on the cardboard on the other side of the room to escape. Crouch under the wall, then go out of the door to your left. Turn right, walk to the end of the hall, then turn left. Pull the drawers out in front of your to climb up, then crawl through the window. 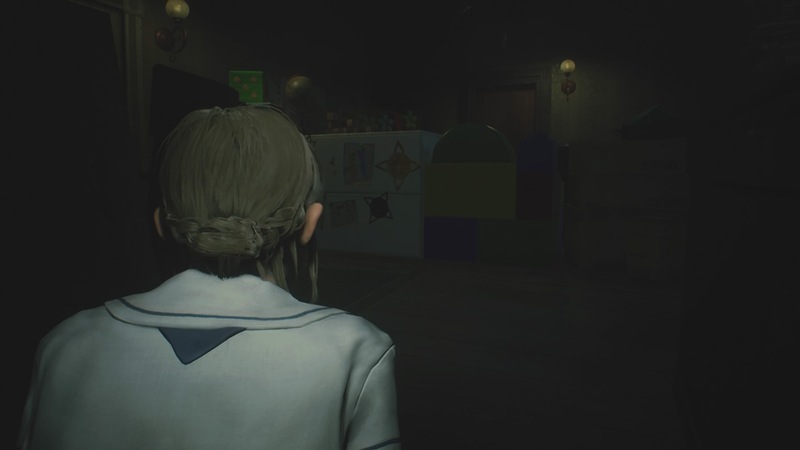 Walk through the room towards the door on the right, crouching to get underneath the toy archway. Then walk through the door to get out onto the balcony. Walk down the stairs and try the front door. Then turn around and go through the door on your left. Follow the hallway around, then go through the door at the end. Save on the typewriter at the end here if you wish, then turn left to look out into the room. 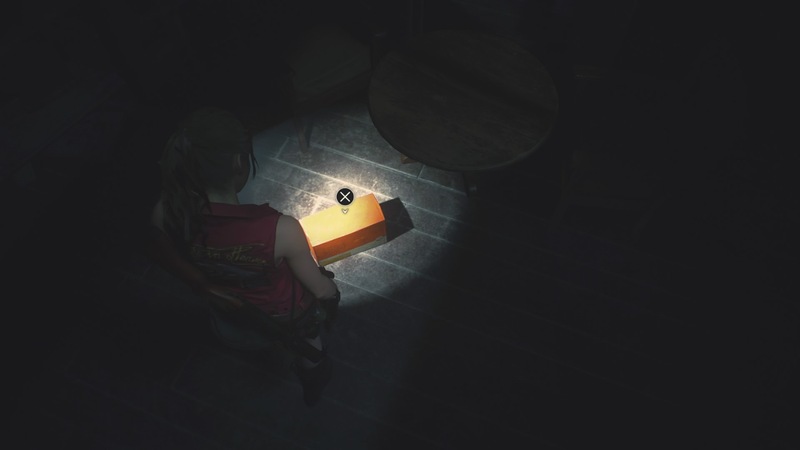 Walk around the table with the dead woman, then take the keys from the box above the side table. You have to stand to grab them. 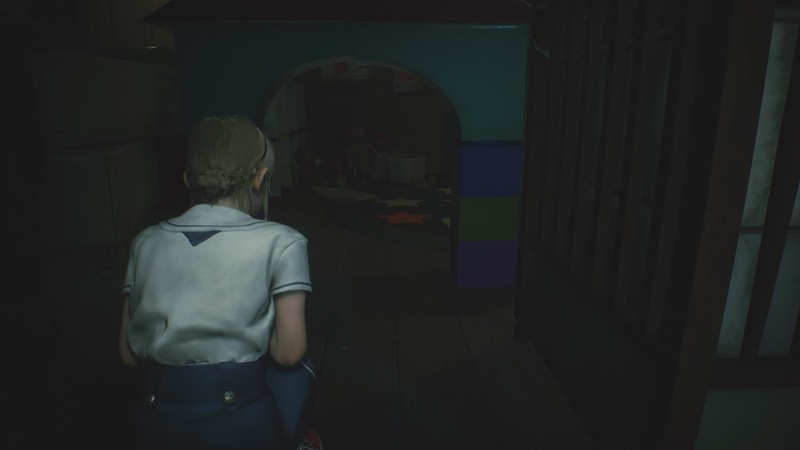 After the cutscene, run back the way you came, up the stairs and into the room with the toy archway. First off, hide behind the white box just after the toy archway. The chief will come in and lock the door. He’ll start looking for you, but shouldn’t see you in that hiding place. 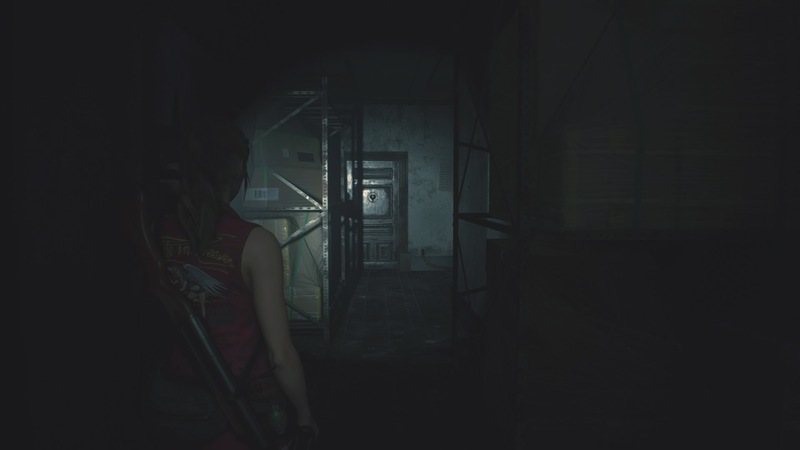 As he starts to walk towards where you are, move slowly around the white drawers in a circle, keeping out of the beam of the torch. Once he goes past your he’ll move a crib, opening a new path, before coming back towards the door. When he’s past you, crouch walk through the new opening to get to the other side of the room. Now hide on the other side of the room as he moves back down. 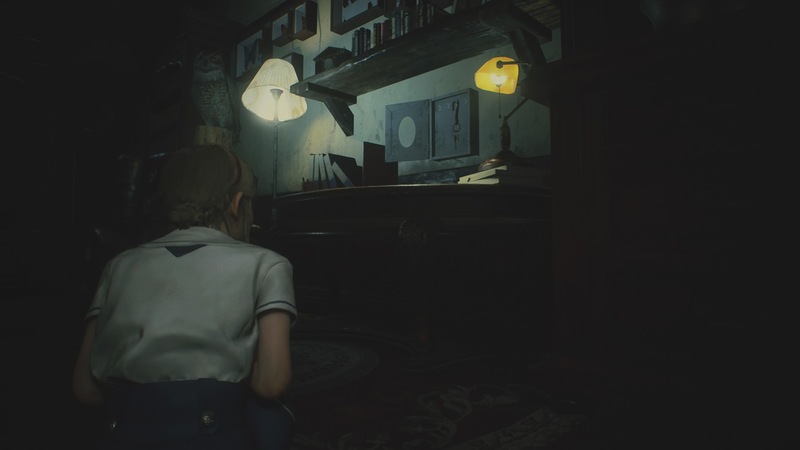 Then when he peers over the drawers on the other side, move further up the room so you’re parallel with the door on the other wall (see screenshot). 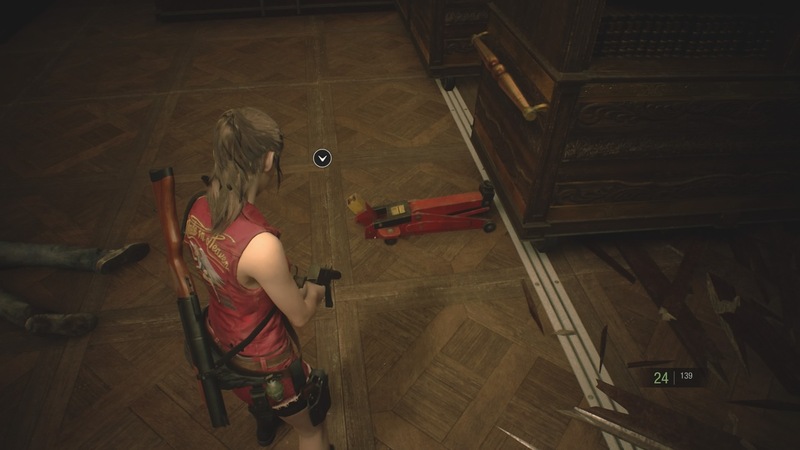 Now stay crouched here. 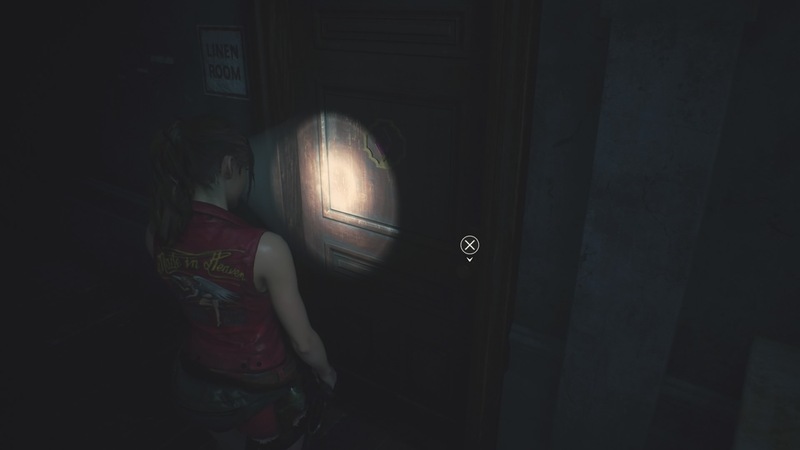 After the cutscene, walk up to the bathroom door and take the Orphanage key out of the lock. 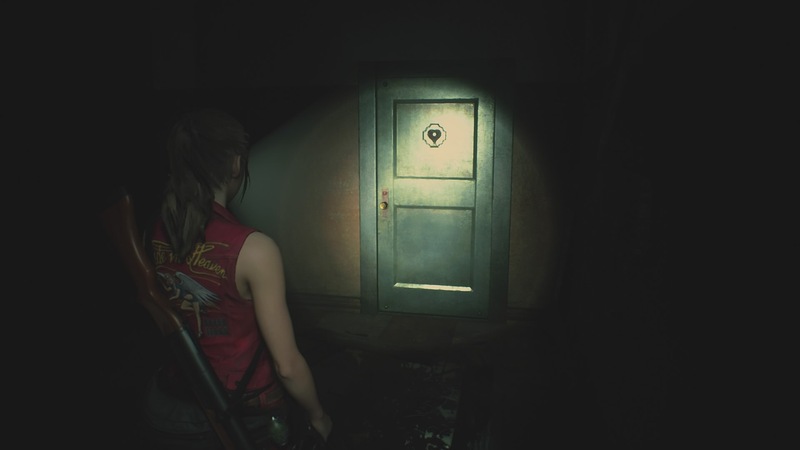 Then run out of the room – using the orphanage key on the door – and back down the stairs to the front door. It’s chained from the other side, so now run back through the door behind you to where you first tried to take the keys. 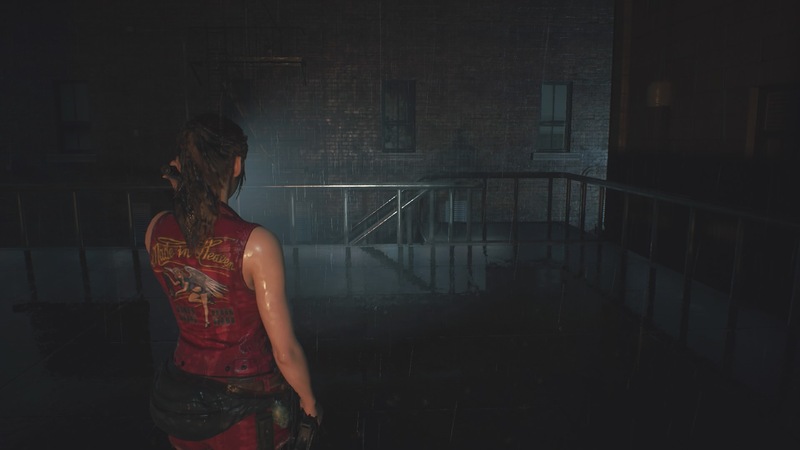 After the grim cutscene, you take back control of Claire. Return to the Chief’s Office and take the elevator back down to the Parking Garage. Bring some guns and healing items with you too. Insert the keycard into the machine and the gate will open. Mr X just won’t give you a break though, so sprint out from the gate as soon as you can. Run up the slope out of the garage and turn right at the top. Run all the way to the right hand side of the area and you’ll hit a dead end. 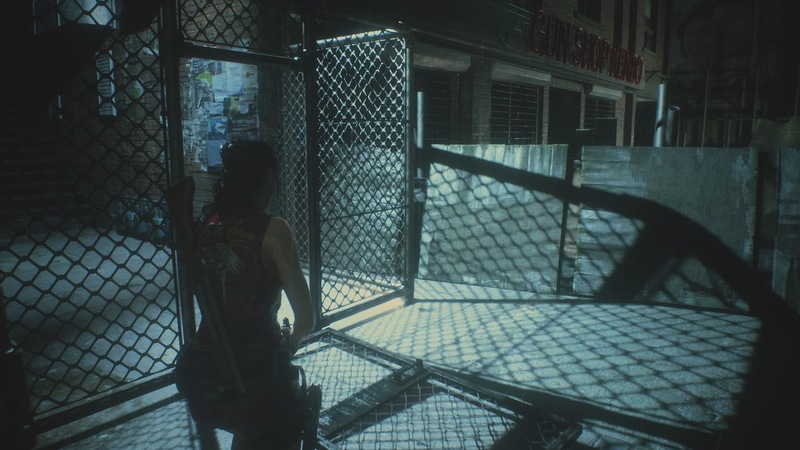 This will cause two zombies to burst through a gate behind you. 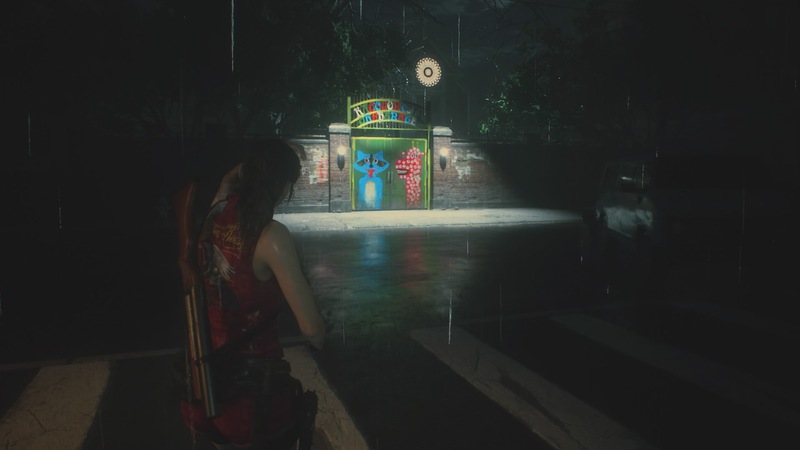 Shoot or run past those zombies while avoiding Mr X, and go through the now open gate. Run all the way across the galley until you get to the stairs at the end. Shoot the zombie at the bottom, then climb over the dumpster to your left. 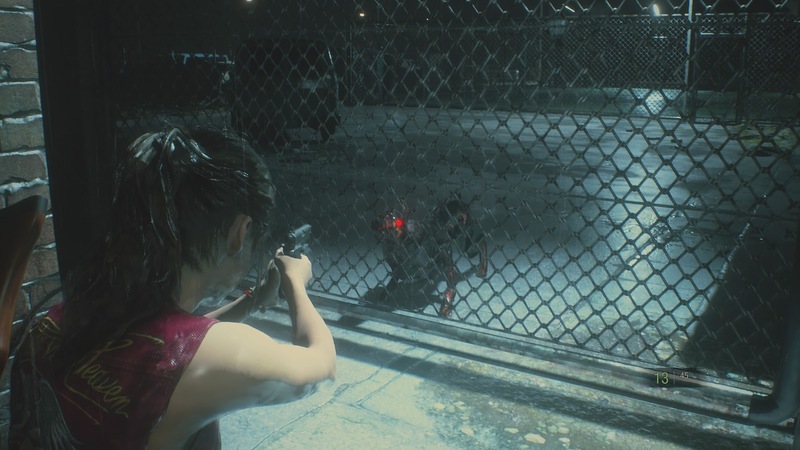 Some zombie dogs will appear on the other side of the gate – shoot them through the railings and you won’t have to deal with them later. Once you go through the gate, another dog will appear. Shoot it if you can, or go back through the gate and shoot it through the railing. Walk around the row of cars and through the gate to the basketball court. Then shoot the two more dogs that run up to the railings. Leave the court through the gate and walk forward and to the right. There’s a ruined bus here that you need to walk through. Shoot the zombie inside the bus and make your way out to the other side. There’s another dog outside which doesn’t seem to be able to get at you in the bus, kill it then run to the Orphanage gate on your right. 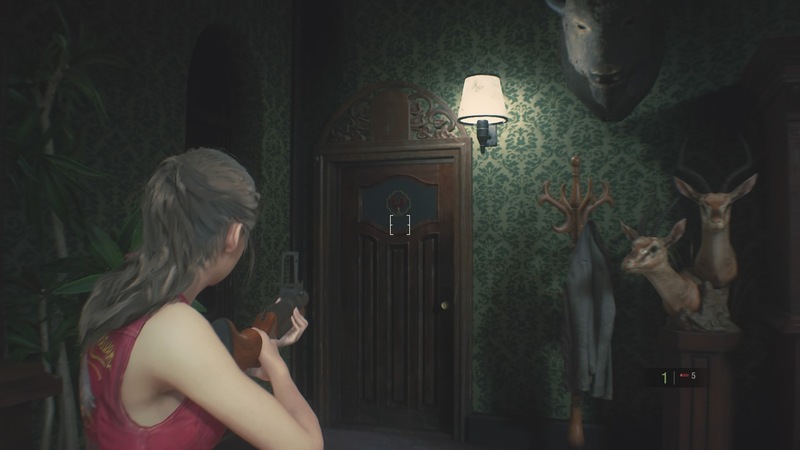 Go through the front door of the Orphanage, then through the open door on the left. 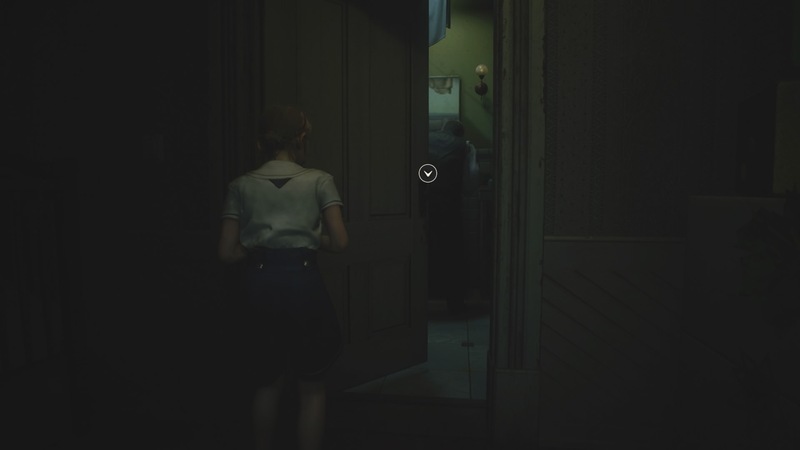 Follow the corridor until you trigger the Alien-inspired cutscene, then run through the door on your right into the front room. 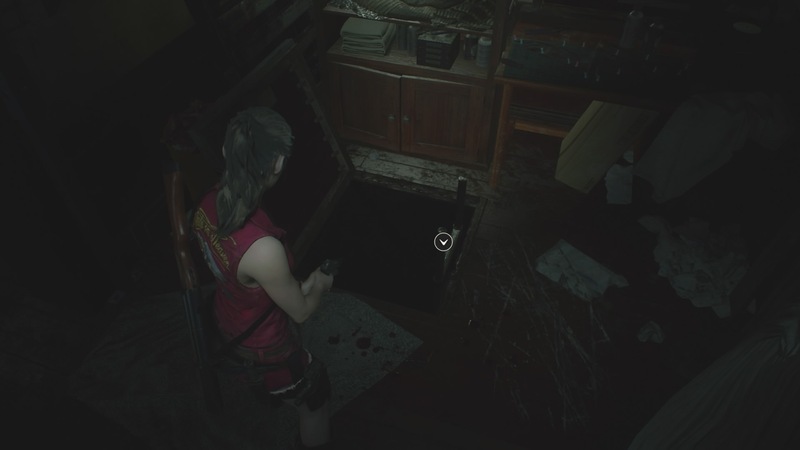 Walk around to the Chief’s workshop and you’ll find a trap door. Spooky. Climb down and descend the staircase next to you. 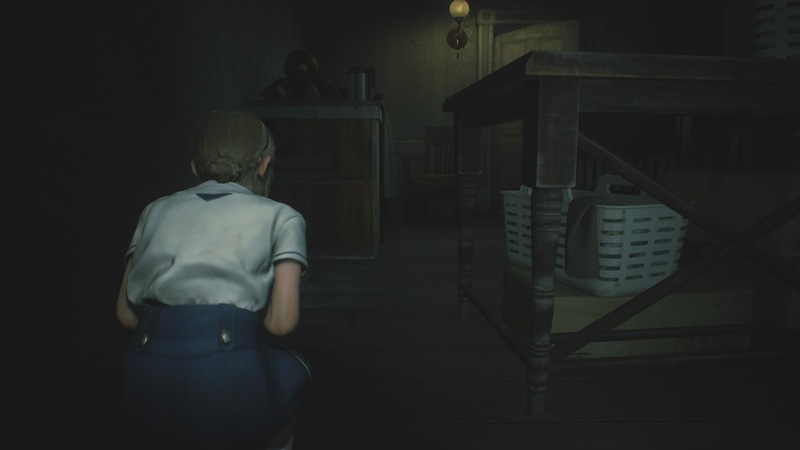 At the bottom you’ll find Sherry, run to her and Mr X will turn up to ruin your day once again. 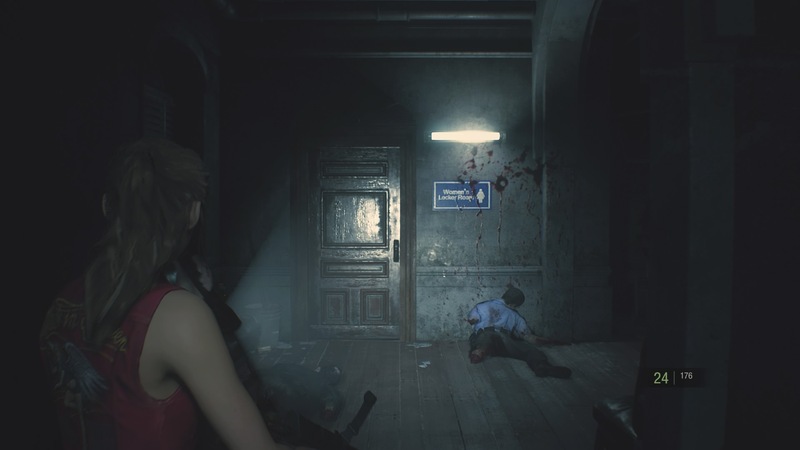 Run away and you’ll make it to an elevator which will trigger a cutscene. When you regain control you’ll be in the Sewers, which we’ll walk you through in the next part.